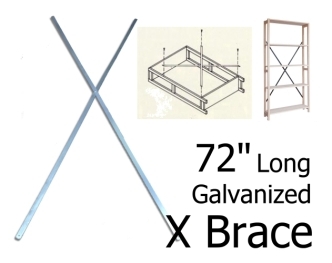 If your width is 24" our 72"long X-Brace will only work on units that are at least 72"high (To fit the 68"height of our spread out X-Brace). 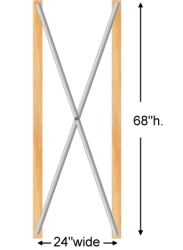 If your width is 30" or 36" our 72"long X-Brace will also only work on units that are at least 72"high (To fit the 65" or 62"height). If your width is 42" or 48" our 72"long X-Brace will only work on units that are at least 60"high (To fit the 58" or 53"height of our X-Brace). 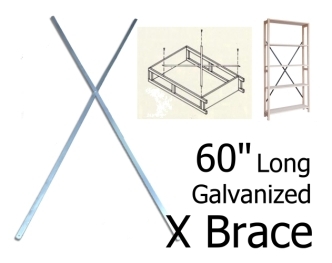 If your width is 24" or 30" our 60"long X-Brace will only work on units that are at least 60"high (To fit the 54" or 52"height of our spread out X-Brace). If your width is 36" or 42" our 60"long X-Brace will only work on units that are at least 48"high (To fit the 47" or 42"height). 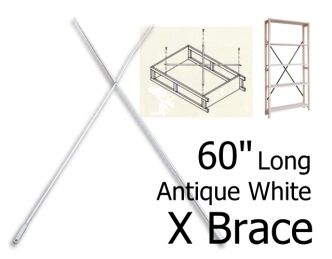 If your width is 48" our 60"long X-Brace will only work on units that are at least 36"high (To fit the 35"height of our X-Brace). If your width is 24" our 48"long X-Brace will only work on units that are 48"high (To fit a 41"height of our spread out X-Brace). 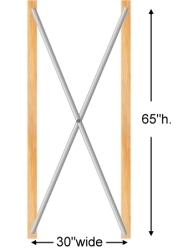 If your width is 30" our 48"long X-Brace will only work on units that are also 48"high (To fit a 37"height). 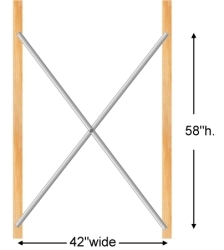 If your width is 36" our 48"long X-Brace will only work on units that are at 36"high (To fit a 30"height). 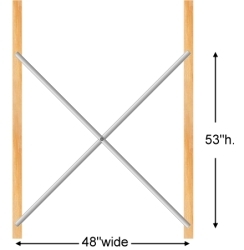 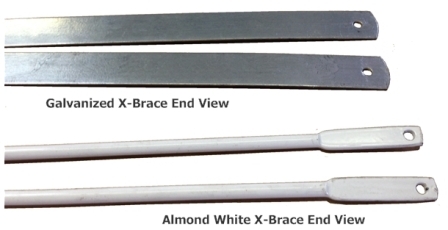 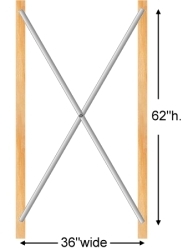 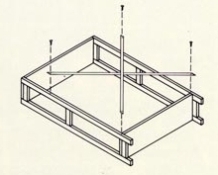 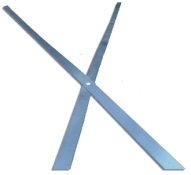 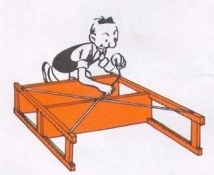 If your width is 42" or greater, our 48"long X-Brace will not work.